One of the most beautiful cities in North America! There is so much history and architecture for one to see. There are great shops and restaurants to immerse you into the Quebec culture for a lifetime. Quebec City is my hometown. It is where I grew up. I went a countless amount of time in the old town and I still enjoy every single walk I have in the Vieux-Québec. You will not find a similar city in North America when it comes to architecture. We've got a flourishing craft beer culture with many microbreweries around town and craft beer bars. Even though Quebec City is a small city when it comes to its population, we are lucky enough to attract many international acts despite the population's size. The only thing that I dislike here is winter. Regardless of the cold and the snow, it is undeniably an incredible experience for many tourists. Meaning "where the river narrows", Quebec City is one of the oldest cities in North America. A portion of the city, as well as most of the Old Quebec area, is built on a plateau. The Old Town was designated as UNESCO World Heritage Site. Quebec City is the Capital of Quebec province in Canada. It celebrated it's 400th Anniversary as a city in 2008. I'm happy to say that I got a chance to visit this "crown jewel of French Canada" and celebrate with the people of Quebec. This lovely little town is charming in a very Disneyesque way. A bit over manicured and certainly over touristed. It would be a 5 if it weren't for all of the cruise ships and tourist traps -- a victim of its own success. I highly recommend planning your visit to avoid cruise ship dockings. Also, consider staying in a boutique hotel. The Chateau Frontenac is a popular option but is a tourist zoo. Quebec City has the feel of a European city that somehow ended up in North America. Although summer is the best time to visit, you'll find a lot happening here year round. The Old City is beautiful, and the shopping and dining are world class! Beautiful city, Vieux Quebec a must. Take the funicular up and walk down for nice shopping in the St. Roch area. 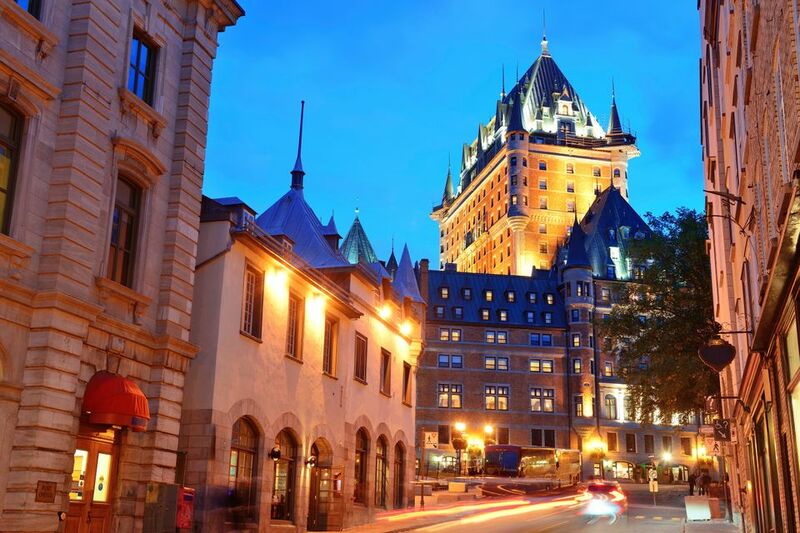 Set on the banks of the Saint Lawrence River, Quebec may be one of the oldest cities in North America but the appeal of this French capital never gets old. Stroll the historic quarter’s narrow cobbled lanes, where centuries-old stone buildings house antique shops, museums, and sidewalk cafés in an almost fairy-tale European-like setting. Don’t Miss: Parc Linéaire, a weave of walking trails along the St. Charles River that lead to lush gardens, canyons, and waterfalls. Door Doctor offers a complete selection of LiftMaster and Linear garage door accessories. All of our garage door accessories come with the latest technology to keep you, your family, and your property as safe and secure as possible. Awesome place to spend a day exploring the history of Quebec. It's the only city that is still surrounded by fortifications.